Diesel engines are typically used in fleet vehicles, pick-up trucks and semi-trucks. They are exceptionally powerful and provide optimal power to carry and transport heavy loads. 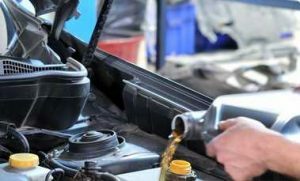 In order for your diesel vehicle to stay in top condition, you must change the engine oil and filters at regular intervals. The diesel mechanic team at Fineline Automotive Services can help you with all your diesel engine service needs. Diesel vehicles run differently than conventional gasoline-powered vehicles. They do not have electrical ignition parts but have fewer components that need regular maintenance. Whether your diesel vehicle is due for scheduled maintenance or you experience any difference in its performance, bring your vehicle to Fineline Automotive Services. Our diesel mechanic team has extensive training and knowledge to detect and fix problems in your vehicle with quick turnaround time. Why Should You Choose Our Diesel Mechanics? Our diesel mechanics are highly skilled and trained to deliver the finest workmanship. We uphold the highest standards in the quality of our work. We give our clients dependable service and complete peace of mind they deserve. We focus on delivering excellent customer service to ensure a 100% retention rate. When repairing and servicing diesel vehicles, we only use factory-specification parts. So, if you would like to keep your diesel vehicle running like new, call Fineline Automotive Services at 03 9764 1655. From routine maintenance to fuel injector malfunctions and contaminated fuel issues, let us handle everything for you. To ensure proper working of your vehicle’s engine, all its components must operate at a constant motion. Timing belt is the crucial part that syncs all the components of the engine. When it slips or breaks, the engine may stop running, leaving you stranded on the road. To avoid unexpected breakdowns, you should get your timing belt inspected by a certified mechanic. Here at Fineline Automotive Services, we perform timing belt inspection, repair and replacement works on all makes and models of domestic and foreign vehicles. How Does Timing Belt Wear Out Or Get Damaged? As you drive the car, the heat and stress stretch the timing belt gradually. Once it starts to stretch, the teeth of the belt also wear out. This could result in slipping or breaking of timing belt. The breaking or slipping of the timing belt can affect the position of the camshaft. This makes the valves and pistons to come into contact with each other, resulting in destructive damage to the engine and costly repairs. To avoid all these hassles, bring in your car to Fineline Automotive Services for timing belt replacement. Ticking noise coming from the engine. How Do We Replace The Timing Belt? We will remove all the components to gain access to the timing cover. We will inspect timing belt, pulleys and other components for damages. Along with timing belt, we also replace water pump, pulleys and tensioners. We will install all the parts removed from the engine. Before we wrap up, we check for proper engine operation. You must not wait for your timing belt to break as it could result in major engine failure. 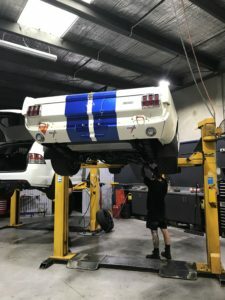 So, call us today at 03 9764 1655 to schedule an appointment to get your timing belt inspected and replaced. Brakes are one of the most important safety components on your vehicle, so keeping them in good operating condition is crucial to avoid expensive repairs and keep you & your family safe on the road. Regular inspection and timely replacement of worn-out brake parts enable you to stop your vehicle quickly in unexpected situations. If you have an issue with your vehicle’s brake system or suspect an issue, bring in your car to Fineline Automotive for brake repairs. We have experienced mechanics who will inspect your brake system and recommend the necessary repairs to get you stopping safely every time. Our brake specialists know every part of your brake system and can perform repairs on all makes and models. Brakes wear out over time and need to be replaced to avoid mishaps. If you notice any of these signs, you can rest assured that there is something wrong with your vehicle’s brake system. In that case, arrange for a brake check with us. Fitting brake pads and shoes. Inspecting and replacing or rebuilding brake calipers. Replacing or resurfacing drums or rotors. Inspecting and replacing wheel bearings. Examining brake lines and back plates. Don’t put you or your family’s life at risk by driving with bad brakes. Our mechanics will give you the proper service and fine-tune your brake system without wasting your time and breaking your budget. For appointments, buzz us at 03 9764 1655. Traffic safety is crucial on the roads. Roadworthy Certificate is one of the most important documents every vehicle owner must have when selling, re-registering or transferring their vehicle as proof of the condition of the vehicle. The main purpose of this certificate is to improve safety on the roads by eliminating poorly maintained vehicles. 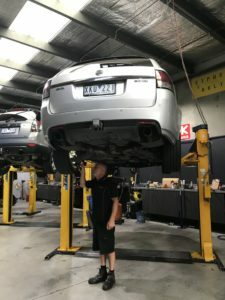 A detailed inspection is required in order to obtain a roadworthy certificate which can only be issued by a licensed workshop, such as Fineline Automotive. Roadworthy Certificate is issued only once the vehicle passes all the tests (usually the same day), and serves as a proof that the car is operating properly and will not put in jeopardy other vehicles on the road. It is valid for 30 days from the date of issue. 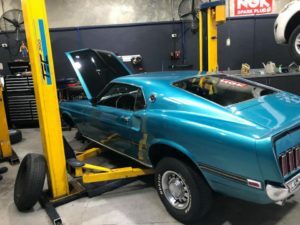 Because roadworthiness is of high importance, it is necessary to choose the right workshop to investigate the vehicle you are selling, re-registering or even purchasing. Luckily, we at Fineline Automotive Service are here for you. We guarantee a thorough inspection of your vehicle using modern technology and equipment. Our highly trained mechanics have the expertise to perform an inspection on vehicles that run on LPG as well. We are fully authorized & accredited Vic Roads licensed tester and will only issue the Roadworthy Certificate after conducting a series of tests. Feel free to contact us and schedule an appointment today to ensure an enjoyable ride in a roadworthy safe car. Book an appointment by filling out the form or just give us a call at 03 9764 1655. While many of the car services can be completed in a short while, some repairs take longer than expected. Fineline Automotive is committed to taking customer service to a new height by offering our clients exceptional services such as free loaner vehicles. When you bring in your car to our facility for maintenance service or to get something fixed, you can use our loaner car for free of charge while your vehicle is being repaired. This way, you can rest assured that you have some transportation means to meet your traveling needs and accommodate your busy schedules. Once we have fixed your vehicle, the loaner vehicle should be returned to Fineline Automotive. You must be at least 21 years of age to drive our loaner car. A valid driver license and insurance are required to use our loaner vehicle. Traffic charges, damages, and parking violations are the responsibilities of the driver. The loaner vehicle should be returned in the same way as when picked up. Our loaner cars are certainly a feasible option to get the work you need to be done without having to wait for hours in an auto repair facility. No matter what your loaner vehicle needs are, we can provide you with the kind of vehicle that exactly meets your commuting needs. As this is a popular program and many people are taking advantage of it, we recommend you to make an appointment for a loaner car well in advance to avoid disappointments. If you still have any question about our loaner car service, feel free to call 03 9764 1655 and talk to us at any time. We would be more than happy to clarify all your concerns regarding our loaner car program.